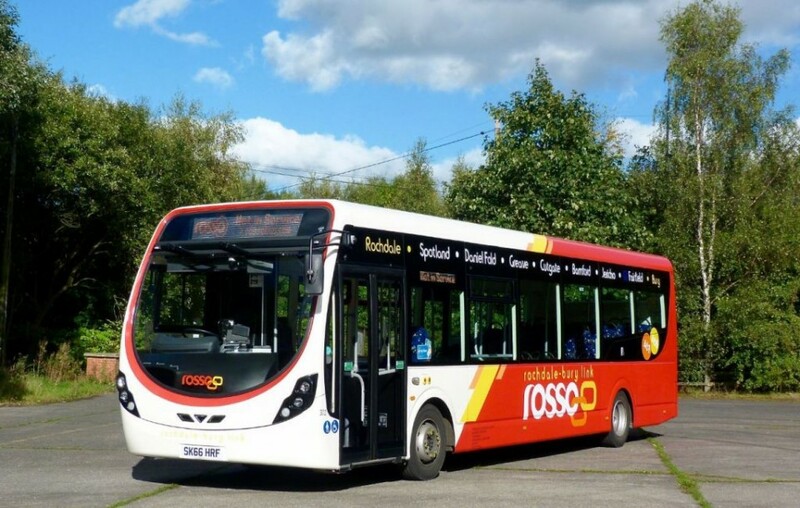 Rossendale Transport (Rosso) has taken delivery of six new 10.8m StreetLite buses, with improved fuel efficiency for their busy routes. The StreetLites have recently entered service and are working on the busy 467 & 468 routes; Bury to Rochdale which also serve the important Fairfield Hospital site. This is the first time Rosso has ordered this type of single deck vehicle from Wrightbus and will be an improved asset to the fleet. Each bus has a passenger capacity of 41 seated and 30 standing and features a Wrightbus’ exclusive ‘Micro Hybrid’ system which provides energy saving benefits as well as the latest safety features. Wrightbus’ Micro Hybrid system was developed by the company to capture the energy generated from the bus’s braking system. This is then redistributed to power pneumatics, hydraulic and electrical systems which would otherwise draw additional power from the engine. The result is a reduction in fuel consumption of up to 10%, leading to substantial savings over a bus’s typical 15-year operational service life.